Video Surveillance has been used in many applications including elderly care and home nursing etc. Smart video surveillance systems are capable of enhancing situational awareness across multiple scales of space and time. It describes mobile based remote control and surveillance architecture. This project makes use of Opency library to capture camera images and detect intrusion using image comparison technique. Once the comparison is done and an intrusion is found, it sends the streamed video from server to remote administrator over android phone. Admin can then take appropriate action and alert local security. Smart Surveillance is the use of automatic video analytics to enhance effectiveness of surveillance systems. This system introduces intelligent analysis of single person activity to enhance the security system in home and also enriches the current video surveillance systems through an automatic identification of abnormal behavior of the person. The relevant data is recorded and alert is given to the user by sending MMS, SMS or mail. The user can view the particular video. This system maintains the security situation at home and this reduces the incidence of burglary cases and enhances social stability. Machine learning and understanding of human actions is a challenging area that has received much attention within the past years. Video Surveillance is one of the active research topics in Image Processing. Video Surveillance started with analogue CCTV systems, to gather information and to monitor people, events and activities. Existing digital video surveillance systems provide the infrastructure only to capture, store and distribute video, while leaving the task of threat detection exclusively to human operators. Human monitoring of surveillance video is a very labor-intensive task. Detecting multiple activities in real-time video is difficult in manual analysis. Thus the Intelligent video surveillance system is emerged. The analytics software processes video flow images to automatically detect objects (peoples, equipments, vehicles) and event of interest for security purposes. In real time, video surveillance systems detect situations in video flow that represent a security threat and trigger an alarm. Observing or analyzing a particular site for safety and business purposes is known as video surveillance. Security and crime control concerns are the motivating factors for the deployment of video surveillance cameras. Video surveillance cameras are used in shopping centres, public places, banking institutions, companies and ATM machines. Nowadays, researches experience continuous growth in network surveillance. The reason being is the instability incidents that are happening all around the world. Therefore, there is a need of a smart surveillance system for intelligent monitoring that captures data in real time, transmits, processes and understands the information related to those monitored. The video data can be used as a forensic tool for after-crime inspection. Hence, these systems ensure high level of security at public places which is usually an extremely complex challenge. As video cameras are available at good price in the market, hence video surveillance systems have become more popular. Video surveillance systems have wide range of applications like traffic monitoring and human activity understanding. In video surveillance system we demonstrate a system which analyses activity in the monitored space in real time, and makes the events available for generating real time alerts and content based searching in real time. The main purpose of this system is to improve the awareness of security personal and decision makers by collecting real-time information automatically. The system raises an alarm whenever unacceptable movements are detected. Hence, the system has the ability to detect mobile objects in the scene and to classify their movements ( as allowed or disallowed). Wann-Yun Shieh(Wann-Yun Shiehet al., 2009) proposed a human-shape-based falling algorithm and this algorithm was implemented in a multicamera video surveillance system. The algorithm is implemented in real world environment for functionality proof. In this algorithm, multiple cameras are used to fetch the images from different regions required to monitor. A falling-pattern recognition approach is used to determine if an accidental falling has occurred. Also, in that case a short message will be sent to someone who needs to be alerted. 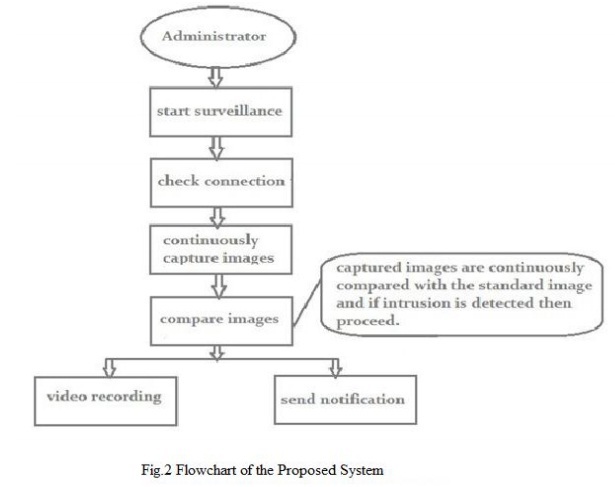 Hae-Min Moon(Hae-Min Moonet al.,2010) proposed the system on human identification method that uses height and clothing-colour information appropriate for the intelligent video surveillance system based on smartcard. Reliable feature information can be obtained using the smartcard. It uses octree-based colour quantization technique to the clothing region for colour extraction and height is extracted from the geometrical information of the images. The similarities between the two images are compared based on the Euclidean distance. This set of technologies can detect moving objects in a video sequence generated by a static camera. The detection techniques are tolerant to changes in natural lighting, reasonable changes in the weather, distracting movements (like trees waving in the wind), and camera shake. This set of technologies can track the shape and position of multiple objects as they move around a space that is monitored by a static camera. The techniques are designed to handle significant occlusions as objects interact with one another. These technologies use various properties of an object including shape, size and movement to assign a class label to the objects. Typical labels include, Person, Group and Vehicle. The smart video surveillance system uses 3-tier architecture that comprises of client side, application server and a database server. The application server consists of the server device which is equipped with a GSM modem. The client side device needs only the browser. It will connect to server through ip address and port number. The server side device mainly contains two modules one is http server and another is image processing. Two devices communicate with each other with http protocol. Hence http server is required. It will build in server side device itself. The main functioning of this is to handle the upcoming requests, check for validation and generate the response. The image processing module is to detect intrusion. Smart video surveillance provides a cost-effective alternative for public safety workers to monitor activities in almost any location, without adding more feet on the street. Both fixed and mobile video services can be deployed to deliver a range of benefits to communities while increasing the efficiency and effectiveness of public safety workers. The following diagram shows the flow of our system and the processes involved. Administrator has to configure the owners phone numbers while installation. Username and password are also provided with it. On start the application will first check for if the device is having camera. If camera is available it will obtain steady image which is used as standard image. Now our application will continuously takes photo frames and compare current frame with previous one. This will help it to detect any movement is there or not. The rate of frame capturing is 10frames/sec i.e. the application can detect movement even it is in 1msec. As soon as there is detection of intrusion application will store captured frame to SDcard of device. Simultaneously a SMS will send to configured owners. 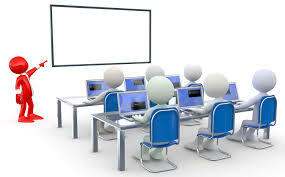 The SMS consist of the link which directly connects it with the server device. Client has to just click it. At user /client, it will communicate with server using http protocol. Initially client has to send connection request to server, after successful validation for http request it will ask for authorization. If result is false, http module will generate negative response while on the other hand response will send to requested device. Response is nothing but the live video that is seen by server’s camera. 1. Our system allows user to view videos even if he is at some remote place. Due to http protocol usage, the application provides online video streaming functionality so that user can view the videos from web browser also i.e. through android device as well as user’s computer. 2. We do not require use of any additional hardware for image matching and intrusion detection. 3. Our system uses image matching technique, so it gives more precise and accurate results. 4. 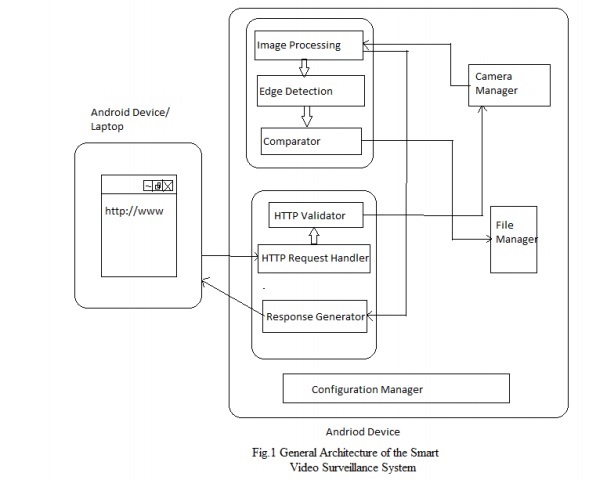 Entire Smart surveillance can be made remote using this architecture. User can even control the system through a remote place. He can give commands to switch on/off the system camera. 5. The user gets notified as soon as the intrusion is detected.Thus, the user can take appropriate action without any delay. Smart video surveillance is integrated with intelligent video movement detection analysissystems combine with SMS notification system. Smart video surveillance system significantly contributes to situation awareness. Such systems transform video surveillance from data acquisition tool to information and intelligence acquisition systems. Real-time video analysis provides smart surveillance systems with the ability to react in realtime. Our system senses the intrusion and sends notifications to authorized persons so that action can be taken in response to the intrusion. D. Koller, K. Daniilidis, H. H. Nagel, Model-based object tracking in monocular sequences of road traffic scenes. International Journal of Computer Vision, Vol. 10, 1993, pp. 257-281. Yuri A. Ivanov and Aaron F. Bobick, Recognition of Multi-AgentInteraction in Video Surveillance, ICCV (1), pp. 169-176, 1999. Drew Ostheimer, Sebastien Lemay, Mohammed Ghazal, Dennis Mayisela, AishyAmer, Pierre F. Dagba: A Modular Distributed Video Surveillance System Over IP, 1-4244-0038-4 2006 IEEE CCECE/CCGEI, Ottawa, May 2006. Blanz and Vetter, Face recognition based on _tting 3D morphable-model,IEEE PAMI, vol. 25, no. 9, pp. 1063-1074, Sept. 2003.